Mint-Marvel Brow – a vegetable-based tint – for which it is not mandatory to have a patch test unless you a have previous history of sensitivity. If a patch test is required for this reason this must be performed at least 48 hours prior to treatment. Mint Brow Tint – which usually gives a stronger colour and is longer lasting. This requires a patch test if you have not had the treatment previously at any Mint salon. If you have not had a patch test with us before it must have been performed at least 24 hours prior to treatment. If your medical condition has changed since your last treatment you should have a patch test prior to treatment. If you have started taking or changed a medication since your last treatment you should have a patch test prior to treatment. If you have had a tattoo since your patch test or last treatment you should have a patch test prior to treatment. You are pregnant (as if you do have an allergic reaction you will not be able to have medical treatment). You are under 16 years of age. You have any condition which may contraindicate treatment, e.g. Infectious or contagious eye or skin disease, have recently undergone eye surgery, or undergoing chemotherapy. If you are un-sure please ask your therapist. You are wearing contact lenses -we recommend that they are removed prior to treatment. 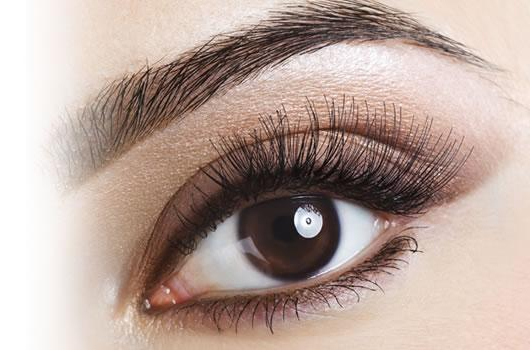 Brow tints, lash tint and party lashes are not available to book online due to the allergy test requirement.